Home » News Story » George Michael’s generosity saved John Lennon’s piano, but which one? January 14, 2017 January 15, 2017 No Comments on George Michael’s generosity saved John Lennon’s piano, but which one? George Michael was the benefactor who paid an unknown collector £1.45m (1.75m USD) for John Lennon’s Steinway Z1 upright piano in 2000. This was so it could remain in the UK, and not be sold to the Far East, or hidden away in storage. The piano, a standard Steinway production model, was the instrument on which Lennon famously composed “Imagine” in early 1971. 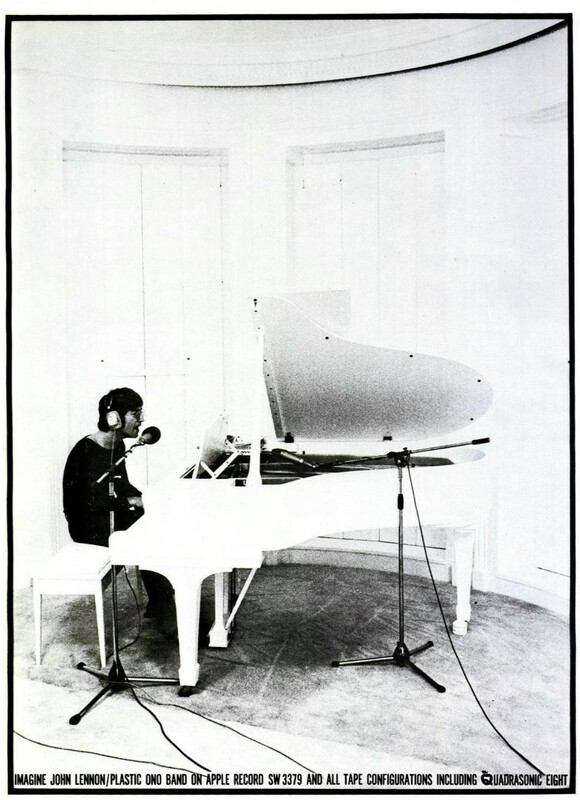 Many fans thought Lennon composed the song on the white Steinway baby grand he bought for his wife Yoko on ther 38th birthday. He did perform the song on that grand, but composed it on the upright. The confusion probably stemmed from a 1971 Billboard ad for the song showing Lennon sat at the white grand. Lennon’s Steinway Z1 (the “John Lennon Piano”) has been loaned to The Beatles Story Museum in Liverpool, and to the Musical Instruments Museum in Arizona. George Michael also took it out on tour with him. 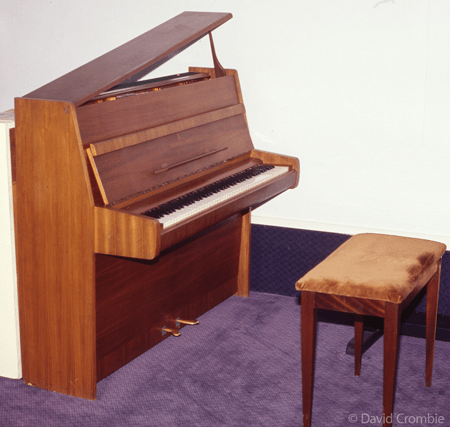 The Beatles Story Museum currently houses another of Lennon’s favourite pianos, an upright, made by the New England Piano Company. This instrument featured on many of Lennon’s later works. It has been wrongly reported recently by some that it was this piano George Michael bought in 2000. In 2010 Steinway introduced the John Lennon “Imagine” Series. A limited edition of 175 grand and upright instruments celebrating the life and music of Lennon. Many other examples of George Michael’s generosity have surfaced since the singer untimely death on Christmas Day 2016.